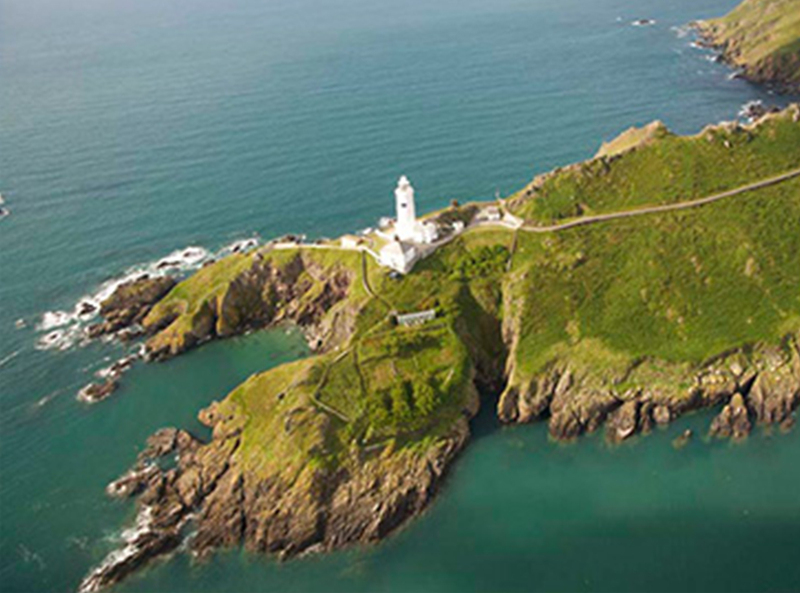 A large part of Start Point has been designated as a Site of Special Scientific Interest (SSSI). This designation recognises how nationally important this promontory is for its geology, lichens and invertebrates, and a good variety of rare flowering plants, breeding birds and an intertidal area of major biological importance. The ‘head’ cliffs support good populations of many species of mining bees and digger wasps which burrow into the cliff face, and there are other bees and flies which are parasitic upon them. Butterflies and moths are also well represented, the most notable species being the Silver-studded Blue. In addition, rare pseudoscorpions, spiders, beetles and bugs have been recorded along this coastline. Many birds, notably Cirl Bunting breed in the dense scrub, as do Kittiwake and Cormorant on cliff ledges. The intertidal area is a wave-cut platform, the base of which is composed of the same schists which form the high cliffs. The flora and fauna are typical of a very exposed rocky shore. Rock pools support some rare species of seaweeds which are restricted to the warmest parts of the British coastline.